This EB-5 visa is a great option for investors and entrepreneurs to get a green card to the United States. With an EB-5 visa, you can live and work in the United States. You can also get a green card for your spouse, and your children through the EB-5 visa. In this guide, I will explain the most important aspects of the EB-5 visa. If you have any questions, please email me directly at Michael@AshooriLaw.com. I'm very responsive via email and would be happy to help you. 1. What is the EB-5 Visa? 2. What are the Benefits of an EB-5 Visa? 3. What are the Requirements to get an EB-5 Visa? 4. What is a New Commercial Enterprise? 5. What Types of Businesses Qualify for an EB-5 Investment? 6. What is a Targeted Employment Area? 7. What is a Regional Center? 8. What are the Differences Between Investing in a Regional Center and Making a Direct Investment? 9. What are Some Examples of Lawful Sources of Funds for an EB-5 Visa? 10. Can I Use a Gift for my EB-5 Investment? 11. Does my Investment have to be Money or can I Invest Something Else of Value? 12. What does it mean for My Investment to be “At Risk?" 13. What is the Process of Getting an EB-5 Visa? 14. How Long Does the Entire EB-5 Process Take? 15. Will the EB-5 Program Change in the Future and what will the Changes be? 16. What are the Details of the Job Creation Requirement? 17. If I Buy a Business that Already has 10 Employees, will they Count Toward the 10 Jobs I’m Required to Create? 18. What Does it Mean for the EB-5 Investor to Engage in the Management of the Enterprise? 19. Can I Become a Citizen with an EB-5 Visa? 20. What Documents Do I need to Include in my EB-5 Application? 21. What is My Immigration Lawyer's Role in the EB-5 Visa Process? 22. How do I find a Business to Invest in for my EB-5 Visa? 23. Who Qualifies for an EB-5 Visa? 24. What is the "Visa Backlog" and who does it Affect? 25. When do my Investment Funds Need to be Invested in the EB-5 Business? 26. Can my Family Members Come to the US on my EB-5 Visa? 27. What does it mean for My Child to "Age-Out?" 28. Once my Visa is Approved How Soon do I have to Enter the United States? 29. Do I Have to Live in the US Once I have my Green Card? 30. If I Already Have a Business in the US can I Use it as my EB-5 Investment? 31. If I’m in the US on an E-2 Visa, can I Covert to an EB-5 Visa? The EB-5 visa is an immigrant visa for investors, entrepreneurs, and anyone who is looking to start a business in the USA. To qualify for an EB-5 visa, you are required to invest a minimum of $1,000,000 in a US business. If your investment is located in an economically depressed area called a "targeted employment area," you may be eligible to invest a reduced amount of $500,000. In addition to investing the minimum amount required, the business invested in must create 10 full-time jobs for US workers. The business must also be a commercial business that is for-profit. Real estate investments and non-profit enterprises do not qualify for EB-5. To get an EB-5 visa, an investor can make a direct investment or they can invest in a regional center. Regional centers are specialized companies that collect investment funds from multiple EB-5 investors to fund a large-scale project such as a resort or apartment complex. A direct investment is any investment not made in a regional center. Examples of direct investments are if you start your own business or purchase an existing business. The EB-5 visa is an immigrant visa classification, so it leads to a green card for successful applicants. By getting an EB-5 visa, your spouse and children can also get their green card as well. The process of getting a green card through the EB-5 visa has 2 main steps. You first become a conditional permanent resident for 2 years. You can remove the condition from your green card after 2 years by showing that you officially created 10 jobs for US workers, and that you kept your capital invested in the US business for the entire period or time (This process will be explained in detail down below). The EB-5 visa is an immigrant visa for investors and entrepreneurs. To get approved for an EB-5 visa, you are required to make an investment in a US company and create jobs for US workers. The EB-5 visa is an immigrant visa category, so as a successful EB-5 applicant, you can get your green card are be on the path to US citizenship. As an EB-5 investor, your spouse and your unmarried children under 21 years old can also qualify to get their green cards. Your children have access to a US education. As an approved EB-5 visa holder, you do not have to work for a sponsor company. You are free to work in any lawful capacity. You are free to live and work anywhere in the United States. You are eligible to work in the US without having to apply for special work authorization. You must invest in a "new commercial enterprise." Your investment must lead to the creation of at least 10 full-time jobs for US workers. Your investment funds must be "at risk." The funds used for your investment must have been lawfully obtained. You must engage in the management of the new commercial enterprise. A New Commercial Enterprise is a for-profit business, conducting lawful activities, that was established after November 29, 1990. To qualify for an EB-5 visa, the company you invest in must qualify as a New Commercial Enterprise. The activity conducted by a new commercial enterprise must be commercial. So owning and operating a piece of residential real estate wont qualify. if the investor increases the size of the business so that there is: a 40% increase in the number of employees of the business; or a 40% increase in the net worth of the business. A targeted employment area is an area of high unemployment or a rural area (as defined by the Immigration and Nationality Act). An area of high-unemployment is an area that has an unemployment rate of at least 150% of the national average unemployment rate. A rural area is an area that is not located within a metropolitan statistical area (MSA) and is not located within any city or town having a population of 20,000 people or more. To qualify for the reduced investment amount, the new commercial enterprise must be principally doing business in the targeted employment area. A regional center is a business entity regulated by USCIS, that is able to pool capital from multiple EB-5 investors to develop a project. Regional centers must promote economic growth, regional productivity, and job creation. They usually develop large-scale hotels, resorts, and other real-estate projects. To qualify for an EB-5 visa, an investor can either make a direct investment or they can invest in a regional center. Examples of direct investments include: starting a business, purchasing an existing business, or investing in an existing business. An investor can also qualify for an EB-5 visa by investing in a regional center. Regional centers obtain capital from many investors to develop a large-scale project. The primary differences between direct investments and regional center investments have to do with the investors level of control in the investment and the way the jobs get calculated, to meet the EB-5 job creation requirement. In a direct investment, the investor is usually the sole-owner of the business, or one of a few co-owners. With direct investments, the investor usually has significant control of the business and is actively involved in the day-to-day operations of the business. In a regional center investment, the investor has much less control. The investor is one out of several tens if not hundreds of investors. The investor in a regional center investment has very little to no involvement in the day-to-day operations of the business. The investor’s control of the business is usually limited to basic voting rights. One of the main requirements of the EB-5 program is that an investor’s investment must lead to the creation of 10 full-time jobs for US workers. How the jobs get calculated depends on whether an investor makes a direct investment or whether they invest in a regional center. A direct job is one where the new commercial enterprise is the employer. Regional centers can count direct jobs and indirect jobs. This means that regional centers are able to take credit for jobs that they don’t directly create. This includes jobs created as a result of the project the regional center is developing. If a regional center develops a major hotel, it can take credit for all the employees of the hotel. These are direct jobs. To build the hotel, the regional center would need suppliers for concrete, furniture, and other goods. These workers may get counted as indirect jobs. Also, the development of the hotel would bring hundreds of new workers to the area and hundreds and thousands of guests. This influx of people would benefit surrounding businesses, including local restaurants and stores. The regional center can also take credit for the jobs created by surrounding businesses as a result of their increased business. These are also indirect jobs. But, if the same hotel investment is made as a direct investment, (not through a regional center), then the project cannot take credit for the indirect jobs. Instead, the hotel would only be able to take credit for the direct jobs they create, like the hotel staff. Another big difference between regional center investments and direct investments is how the investor proves job creation. For direct investments, the investor must prove that 10 direct jobs were actually created. This means that the investor must submit the actual employment documents for each employee (including the Form I-9). Regional centers do not have to prove the actual creation of each individual job. Instead, regional centers use economic multipliers and formulas that show the creation of the required number of jobs. One of the key requirements of the EB-5 visa is that the funds used for an EB-5 investment must be lawfully obtained. This means that the funds must have been obtained through lawful activity and cannot be obtained through any illegal conduct. To prove this, you will submit many documents showing how the funds were earned, including bank statements and tax returns. Yes, the money you use as your EB-5 investment can be gifted to you by someone else. Keep in mind, the funds must be in your possession before they are invested in the EB-5 business. The person giving the gift cannot invest the funds directly into the EB-5 business on your behalf. No, an investor does not have to invest money to qualify for an EB-5 visa. The EB-5 regulations require investors to make an investment of “capital” into a business. Note: If you are using funds from a loan as your investment capital, the loan should be secured by your personal assets and you should be personally and primarily responsible for the loan. Keep in mind: If you choose to invest a form of capital other than cash, such as inventory, the capital will be valued according to its fair market value. Your EB-5 investment must be "at-risk" until the time you become an unconditional permanent resident. Basically, what this means is that your investment funds must actually be spent and not just sit in your business's operating account. Your investment must be subject to either gain or loss. You cannot receive any guarantee that the capital you invest will be returned to you. You cannot be granted the right to redeem any part of your interest in the business. Your funds must resemble an investment rather than a loan to the enterprise. Your funds cannot just sit in a bank account nor can they be used as business reserves. The first step in the EB-5 process is to hire an immigration attorney with experience handling EB-5 cases. Your attorney can help you determine whether the EB-5 visa is the right option for you based on your immigration goals and circumstances. Your attorney will work as your partner through the entire EB-5 process. They will analyze your EB-5 investment for immigration compliance. They will also prepare all the necessary documents to make sure that you meet all the EB-5 visa requirements. Select an EB-5 investment that you are comfortable with (after doing a lot of due diligence). Your attorney should not provide you with any business related investment advice, unless they are competent to do so. If you need investment advice, you should consider using a Registered Investment Advisor or a Broker/Dealer. Make sure they are competent in the EB-5 program. Your attorney can help you make sure that the investment is compliant with the immigration requirements of the EB-5 visa program. When you file the Form I-526 you must show that you have invested or are actively in the process of investing your capital into the new commercial enterprise. Evidence of mere intent to invest at a later date is insufficient. After putting together all the necessary documentation, your attorney will file the Form I-526 on your behalf. The I-526 is the initial EB-5 petition. If your I-526 is approved, you are eligible to apply for conditional permanent residency (a 2 year conditional green card). Your green card is conditional for 2 years to allow for you to complete the EB-5 requirements. The requirements include creating 10 full-time jobs for US workers and maintaining an “at risk” investment in the project. There are 2 ways to get your conditional green card. Depending on if you are inside or outside of the US, you will either adjust status in the US or you will go through consular processing abroad. After 21 months of becoming a conditional permanent resident, you are eligible to have your attorney file a Form I-829 for you. The Form I-829 is the application to have the condition removed from your green card. This is so you can become an unconditional permanent resident (a green card holder). You are eligible to get the condition removed from your green card if you meet all the requirements of the EB-5 program. This is done by showing that your investment in the project was sustained and that you created the required 10 full-time jobs for US workers. After you’ve been a permanent resident for at least 5 years, you may be eligible to apply for Naturalization, to become a US citizen. For 2 years you are a conditional green card holder, until approval of your I-829 petition. During this 2 year period you can live and work in the USA. Once your I-829 is approved you are a permanent resident. After being a permanent resident for at least 5 years, you may be eligible to apply for naturalization to become a US citizen. The investment amount is too low and must be increased. Regional centers need more regulation and oversight based on the instances of fraud and abuse that have taken place with regional centers. As a result of the criticism, there is a growing belief that changes will be coming to the EB-5 program sooner rather than later. While nothing has been finalized, it is likely that the minimum investment amount will go up soon, that targeted employment areas will lessen, and that regional centers will be regulated more. For each EB-5 investment, 10 jobs must be created. So, if there are 4 EB-5 investors, at least 40 jobs must be created. The new commercial enterprise must create 10 full-time positions for qualifying employees. Qualifying employees are US citizens, permanent residents, and/or other immigrants authorized to work in the US. The EB-5 investor, their spouse, sons, and daughters do not count as qualifying employees. Nonimmigrants and people that are not authorized to work in the US do not count as qualifying employees. Keep in mind that these workers must be employed on a full-time basis (at least 35 hours per week). Combining 2 part-time positions will not count as 1 full-time job, but you can have 2 or more employees share a full-time position (job sharing). The jobs are expected to last for at least 2 years and cannot be seasonal, temporary, or intermittent jobs. No, the EB-5 program requires your investment to create 10 new full-time jobs for US workers. If you buy an existing business, the jobs already in existence will not count toward your requirement to create 10 jobs. You will have to create 10 jobs in addition to the jobs existing at the time you purchased the business. There is an exception to this rule for troubled businesses. A troubled business is a business that has been in existence for at least 2 years and has experienced a net loss of at least 20 percent of its net worth for the 12 or 24 month period before the date the EB-5 investor filed their Form I-526. If a business is a troubled business, the investor may count the jobs they are saving as part of the 10 jobs they are required to create. With a troubled business, you must show that you will at least maintain the level of jobs in existence before your EB-5 investment. The jobs should last for a period of at least 2 years. Keep in mind: If the troubled business doesn't have 10 employees, you will still have to hire more employees to reach the 10 employee minimum. For example: if a troubled business only has 5 full-time employees, then you are responsible to preserve those 5 jobs and create another 5 full-time jobs. To qualify for an EB-5 visa, you must engage in the management of the new commercial enterprise. You can meet this requirement by either forming the policies of the business or by handling the day to day management of the business. You cannot be a passive investor in the business. If you are investing in a regional center, you will likely be a limited partner in the business. You can meet the management requirement here by showing that you have the rights normally given to limited partners, such as voting rights. Another way to show sufficient engagement in the management of the enterprise is by submitting a statement of your job title and duties, with your EB-5 petition. The EB-5 visa does not directly give you citizenship. But, with an EB-5 visa, you can eventually become a US citizen. The EB-5 visa is an immigrant visa category. This means that as a successful applicant, you can become a permanent resident. The process first starts with getting a conditional green card. After having your conditional green card, you can then get the condition removed and become an unconditional permanent resident. As a permanent resident, you may apply to become a US citizen; this process is called naturalization. You may apply for naturalization after being a permanent resident for at least 5 years. Keep in mind that your time as a conditional permanent resident counts toward the 5 years. To naturalize, you must also be physically present in the US for at least 2 and a half years during the 5 year period. During this time, you cannot be absent from the US for a single period longer than 180 days. There are other requirements to becoming a citizen as well, such as having good moral character and passing a United States civics test. The documents included in the EB-5 petition are very important to get a successful result. An experienced immigration attorney can help you organize and decide the documents to include. This is a very detailed process and the documents that you will need to include depend on the particular facts of your case. The documents that will be included in your petition will center around 3 main categories: 1. the investor; 2. the business; and 3. the source and path of funds. The documents you should include in your application will depend on how you got your investment funds. They will also depend on where your funds went from the time they were earned to the time they were invested in the EB-5 project. Example: If you obtained your funds from the sale of a property, you will include different documents than if you obtained your funds by gift. One more important thing to note: all documents submitted to USCIS should be translated to English. Disclaimer: the list below is not a complete list of all the documents to include in your EB-5 application. The goal of this list is to give you an idea of the documents you should include. letter from investor describing their employment history, job duties, position within the company, salary, etc. letter from the lender to the EB-5 investor describing the loan amount, date of loan, what security or collateral was given in exchange for the loan, etc. letter from the person giving the gift attesting to the amount of the gift, conditions of the gift (if any), date of the gift, etc. An immigration lawyer is not your financial advisor nor is he/she your investment advisor. Your immigration lawyer should not give you advice on which project to invest in unless the advice is about the investment’s compliance with the immigration requirements of the EB-5 visa. 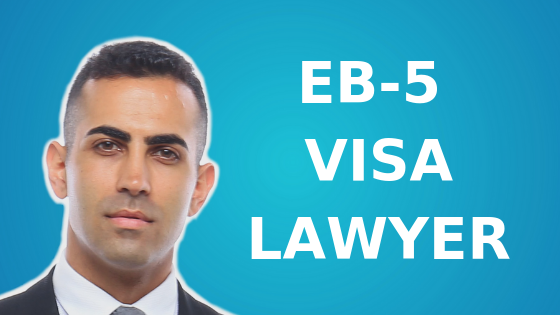 You should think of your immigration lawyer as the director of the entire EB-5 visa process. Your immigration lawyer should first consult with you to see if an EB-5 visa is the best option based on your immigration goals and circumstances. After deciding that an EB-5 visa is the right option for you, your immigration lawyer should act as your guide through the entire process. Your immigration lawyer should discuss with you whether the investment you are considering meets the immigration requirements of the EB-5 visa. Your lawyer should analyze where your investment funds come from. Your lawyer should then determine which documents are needed for your EB-5 application. Your immigration lawyer should put together your entire EB-5 application and submit it to USCIS for you. If your I-526 or I-829 petition gets a request for evidence, your immigration lawyer should prepare a response for you. Your lawyer should include all documents and information requested. Once your Form I-526 gets approved, your immigration lawyer should help you adjust your status or get your visa. Before investing in an EB-5 project, you should do your own due diligence, like you would if you were making any other investment. You should make sure that you’ve done a lot of research on the business or regional center you are considering. Besides your own personal efforts, there are professionals that can help you choose an investment. The 2 types of professionals that can help you pick an investment are Registered Investment Advisors and Broker/Dealers. Registered investment advisors and broker/dealers are regulated by the Financial Industry Regulatory Authority (FINRA). Registered investment advisors usually provide investment advice in exchange for a fee. Broker/dealers usually charge a finders fee to the business or regional center for the investors they refer to a particular project. You can do a lot of research on your broker/dealer or registered investment advisor using Finra’s BrokerCheck resource. Finra’s BrokerCheck site is a great way to make sure that your investment advisor is licensed. With BrokerCheck, you can also learn how many years of experience your investment advisor has, which exams they passed, and which state licenses they have. Unlike the E-2 visa, you do not have to be a citizen of a particular country to get an EB-5 visa. As long as you meet the requirements of the EB-5 visa and you are not barred for some other reason, you should qualify to get an EB-5 visa. There are currently 10,000 visas issued each year for the EB-5 visa category. The Immigration and Nationality Act (INA) sets a maximum amount of EB-5 visas that can go to nationals from each country. When the number of approved I-526 petitions for nationals of a particular country exceeds the number of visas available, this creates a backlog of approved applications. When this happens, approved applicants must wait until a visa becomes available. Over the last few years, the demand for EB-5 from citizens of Mainland China has exceeded the number of visas available. The increased demand created a major backlog. This is why Chinese investors have to wait many years after their I-526 is approved before they can get an EB-5 visa or adjust status. Nationals of Mainland China are currently the only group of EB-5 investors affected by a visa backlog. At the time of I-526 filing, you must show that you have invested or are actively in the process of investing your investment funds in the new commercial enterprise. Your future intent to invest, without a present commitment, will not be enough. You cannot hold-off on investing your capital until after your I-526 is approved. However, before filing your I-526, you can deposit the money in the escrow account. You can then make the release of the investment funds conditional on I-526 approval and visa issuance or adjustment of status. So, if the I-526 doesn't get approved for any reason, you would be able to get your investment funds back. Yes, as a successful EB-5 investor, your spouse and unmarried children under 21 years old are also eligible to become permanent residents. As a successful EB-5 investor, your unmarried children that are under 21 years old can also get their green cards. Aging-out is when your child is no longer able to join you through your EB-5 visa, because they are 21 years of age or older. This can be an issue when your child is close to 21 years old when you are applying for an EB-5 visa. To avoid your child aging out, you should know how a child’s age is calculated during the EB-5 process. Your child’s age is determined by taking their age at the time a visa is available, subtracted by the number of days the Form I-526 was processing. For most people, this means that if your child is under 21 years old at the time you file your Form I-526, they will be ok. If you are from a country with a visa backlog (Mainland China), your child’s age is taken at the time a visa is available minus the number of days the Form I-526 was processing. This concept is a little confusing, so if you have any questions about it, feel free to email me at Michael@AshooriLaw.com. Your EB-5 visa is typically valid for 6 months. This means that once the consulate abroad issues your EB-5 visa, you have 6 months to enter the US. As a permanent resident, you have to have the intention to permanently reside in the US. That said, you can still leave and re-enter the US. You should not leave the US for a 6 months or longer at any one time, as this may be seen as abandoning your permanent residency. If you need to leave the US for an extended period of time, you should apply for a re-entry permit. A re-entry permit is a document that allows you to stay outside of the US for extended periods of time. With a re-entry permit, there is a legal presumption that you do not intend to abandon your status as a permanent resident. A re-entry permit is usually valid for 2 years from the date it is issued. The business must qualify as a new commercial enterprise. You will need to invest a minimum of $1 million in the business (or $500,000 if the business is in a targeted employment area). The funds that you’ve already invested in the business may count as part of the $1 million (or $500,000) minimum investment amount. You will have to show that the invested funds were obtained lawfully. Yes, if you are already in the US on an E2 visa, you can convert to an EB-5 visa. The funds that you’ve already invested in the E2 business may count for your EB-5 investment. The jobs that you’ve created with your E2 business may count as part of the 10 full-time jobs you are required to create. You should now have a much better understanding of the most important aspects of the EB-5 visa program. This is a lot of information to understand. But don’t worry, with the help of a qualified EB-5 lawyer, the process can be easier than you think. If you have any questions about the EB-5 visa or about US immigration, email me directly at Michael@AshooriLaw.com. I'd be happy to answer your questions. 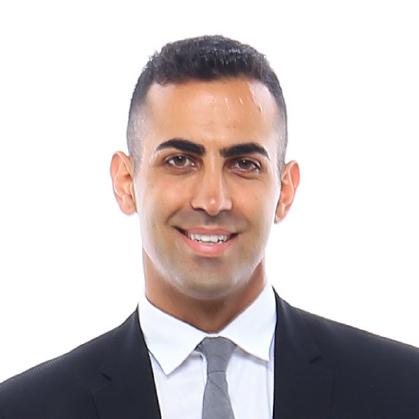 Ashoori Law is a Los Angeles based immigration law firm focused on helping business professionals and entrepreneurs get visas to the United States. Got a Question? Email me directly at Michael@AshooriLaw.com.